I need help y’all. I am trying to find the perfect color lamp for the family room. 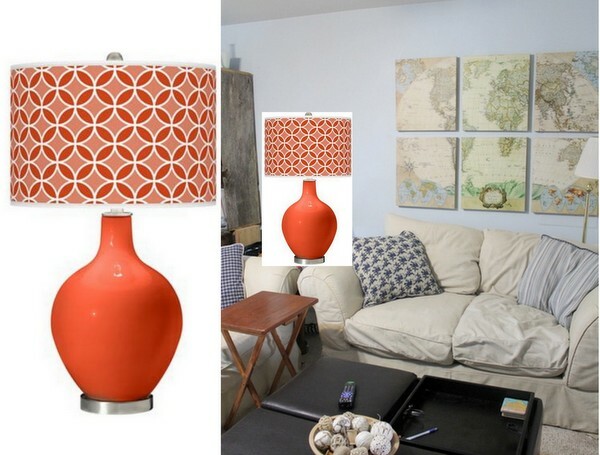 Lamps Plus has an awesome line of color plus lamps that are fully customizable. 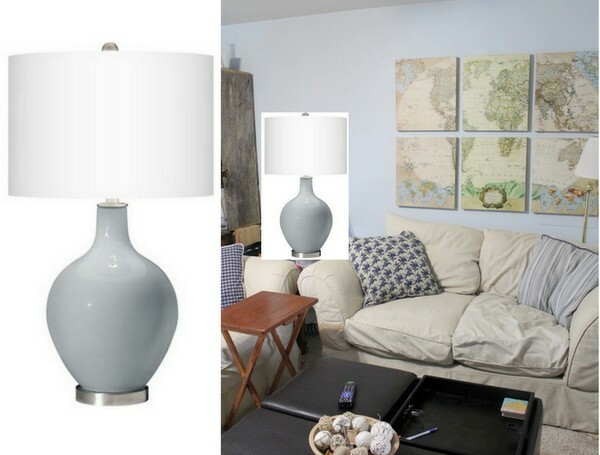 You can pick the base and shade right on their site and preview your lamp. So I came up with 4 combinations — a couple wild and a couple more muted — and I would love it y’all vote for your favorite. Sometime soon I hope to purchase something to go in there and would love your input! So check out the combinations below then vote in the poll! I am not even going to tell y’all my favorite. Now cast your vote below. Great options right? Be sure to make your own great options on Lamps Plus for your home. So many possible combinations I can’t even count that high. 🙂 So make the lamp of your dreams and put it on your letter to Santa. I was selected for this opportunity as a member ofClever Girls Collective; the opinions expressed here are all my own. The black looks much better to me. My second choice would be the blue. I voted for gray, but I actually love the green tones in the wall hanging over the couch. If it were me I’d try to bring out those colors. I love the orange but it seemed a little to bright for the room. My favorite for your living room is the blue one – loved it! That orange is right up my alley – going to check them out now!